In the 1990’s, Max Baer Jr., best known as Jethro from The Beverly Hillbillies TV show, got the idea to build a hotel/casino themed around the Beverly Hillbillies franchise. He identified a plot of land in Reno, Nevada, and tried to get things going, but after years of being in the works, the project never got off the ground and kind of sputtered out. On August 15, 2003, Max Baer Jr. was back. He announced that he and his partners had purchased a building in Carson City, Nevada, to relaunch the project. The building they chose was formerly a Wal*Mart department store that had been abandoned. Throughout the fall and winter of 2003/2004, the old 120,000 square foot building on the south side of town will be transformed into Jethro’s Beverly Hillbillies Casino, with a hotel soon to be added in the back. And I’ll be on hand to document the work. I drive by the site every day, and I’m already documenting the other big casino project in Carson City, the Ormsby House. So, of course, it’s a natural that I’ll be keeping track of this one. They haven’t started construction yet, so here’s a picture of how the Wal*Mart building looks now. To the left of the photo, the building is attached to a little strip mall and a JC Penney. Keep in mind that I’m not planning on being kind to this effort. This casino belongs in Las Vegas. It has no business being in Carson City. We have a distinct lack of laughingstocks here in the capitol city, and we rather like it that way. Jethro’s casino, if it really gets built, is just going to make us the punchline of a lot of jokes. That’s my story, and I’m sticking to it. But, if the project really ends up going through, I won’t have any choice but to just sit back and enjoy the absurdity of it all. This site will be my outlet. Jethro’s land in Douglas County was foreclosed, so this project is well and truly dead. Last I heard he wants to renovate a closed casino in Sparks, NV. Who knows if it will ever happen. Jethro has sold the Old Wal-Mart in Carson City in favor of building his casino in Douglas County. It’s the end of an era. But the project is still alive, so keep checking here for updates. Still looking at Douglas County. Jethro is actively looking at sites elsewhere in Carson City and Douglas County to build his casino, in case the stalemate at the old Wal*Mart site isn’t broken by next spring. It sounds like Jethro may be wavering in his determination to build on the old Wal*Mart site no matter what. Now he’s saying that if things aren’t resolved by next year, he’ll find another site. Either way, “I’m going to put a shovel in the ground by June of next year,” he says. 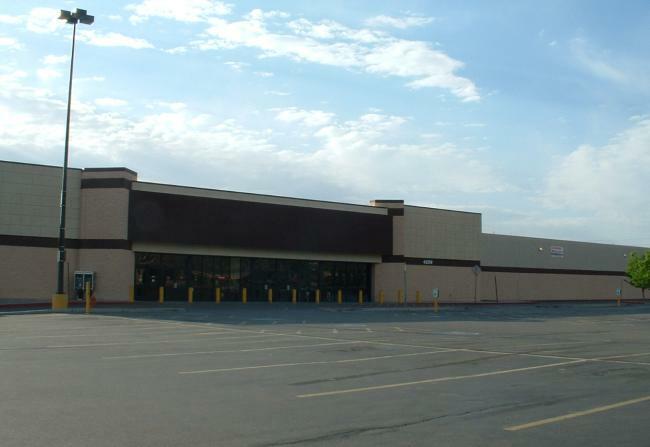 Carson City government is considering adding the former Wal*Mart building to the city’s redevelopment district, saying it meets the criteria in that it’s been vacant for years and “has the appearance of physical and economic distress.” The story is here. Also lingering underneath all this talk about redevelopment are hints that the city may plan to use eminent domain to take the property. The mayor says it’s a possibility, but the city’s redevelopment managers says that’s getting too far ahead. But you know they’re letting all this talk of eminent domain slip to scare Jethro a little bit, and hopefully get him to break his end of the standoff. We’ll have to see if it works or backfires. Jethro is still holding strong, even turning down an offer from Wal*Mart to buy the building back, for more money, to build a Sam’s Club. Glenbrook and JC Penney are holding strong as well, vowing to never give in. The matter finally went to court, and the judge ruled in favor of Glenbrook. Jethro cannot build the casino without Glenbrook’s permission. They insist they will never give their permission, and Jethro vows to continue the fight as long as it takes. “I can wait in perpetuity,” he says. Jethro is still trying to get his plan approved. JC Penney and the owner of the strip mall (Glenbrook Co.) don’t want a casino to go into the old Wal*Mart building, and they say there are covenants and restrictions that prohibit using that space for entertainment purposes. Jethro says the restrictions don’t apply to him. Glenbrook Co. says that when he bought the building, the restrictions were part of the package. The matter is going to court in January. Here are links to articles in local papers about the project. on the “White House” with lap dances in the Oval Office where fondling the congressional page hookers is encouraged. Ha Ha Ha! And, let us not forget that in Vegas, The House, not Congress, always wins! 2018, no body gives a good ole USA crap, move on…..
Keep fighting Max get that hotel built, I’ll definitely take my family. I wish Max Baer a lot of luck. I enjoyed the Beverly Hillbillies when I was young. Max Baer is an out-of-touch douchebag, and NOBODY gives a flying f*ck about The Beverly Hillbillies. The entire concept and design for his failed joke of a casino was SO gaudy and tacky, that it’s pretty safe to assume that Max needs to lay off the cocaine. Personally, I got a really big smile from reading about how this idiotic project never got off the ground.